2379 ⊙/ 2 Old German States - interesting collection in the spring back binder on preprinted pages, mixed quality, with superb pieces. As well numerous various areas, better values and so on. Including Baden, Bavaria with 12 Kr. Green, 18 Kr. Red, 12 Kr. And 18 Kr. Coat of arms cut, issues the Pfennig period, North German Postal District including 18 Kr. Rouletted used and on piece, Prussia with cephalic and coat of arms stamps, Saxony including Michel no. 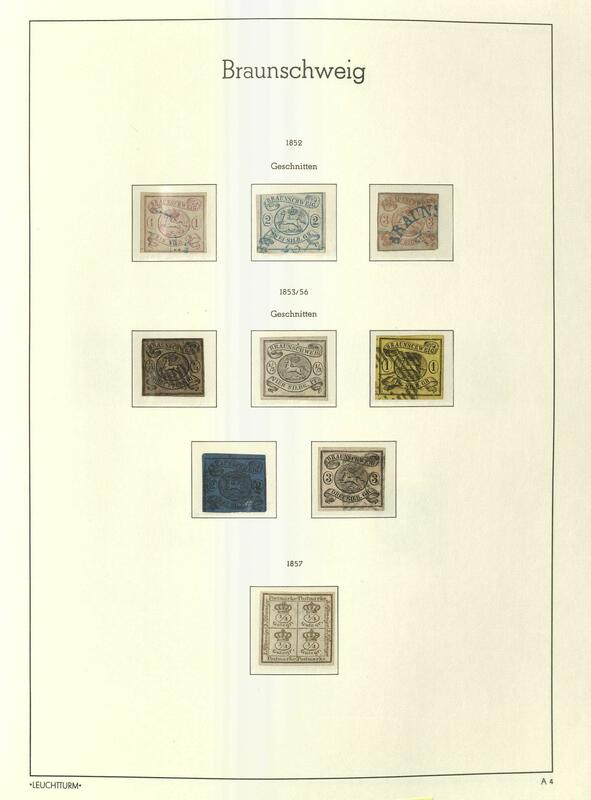 2, as well cephalic and coat of arms stamps, Thurn and Taxis with used issues, as well Wuerttemberg from of the Kreuzer period. Enormous catalog value! 2425 ⊙/ /✉ Old German States - interesting collection of different areas in the Lindner hingeless printed form ring binder, mixed quality, as well better issues, also pre philately letters, as well stamp issues from Brunswick, Hamburg, Hanover, Heligoland, Lübeck, North German Postal District, Alsace- Lorraine, Prussia, Saxony, as well numerous values from Thurn and Taxis including used issues. Enormous catalog value! 2679 x Old German States - interesting inventory packed in a carton, as well numerous issues mounted on pages and stock cards, interesting part Wuerttemberg from of the Kreuzer period, Bavaria abundant be present, Baden with unperforated and perforated values and so on. Treasure trove with gigantic catalogue value! 3320A x Old German States - interesting lot packed in a carton, as well lots of Prussia with cephalic and coat of arms issues, an interesting part Wuerttemberg fan cancel and so on. Please check carefully! 3358 ⊙/ /✉ Old German States - extensive lot in a large stockbook, mixed quality, including numerous superb and extremely fine copies, as well Bavaria well-staffed, Wuerttemberg and further areas. Please have a look! 3359 ⊙ Old German States - almost exclusively used collection of the area Baden, Thurn and Taxis and North German Postal District in the spring back binder, mixed quality, with useful issues. Very high catalog value! 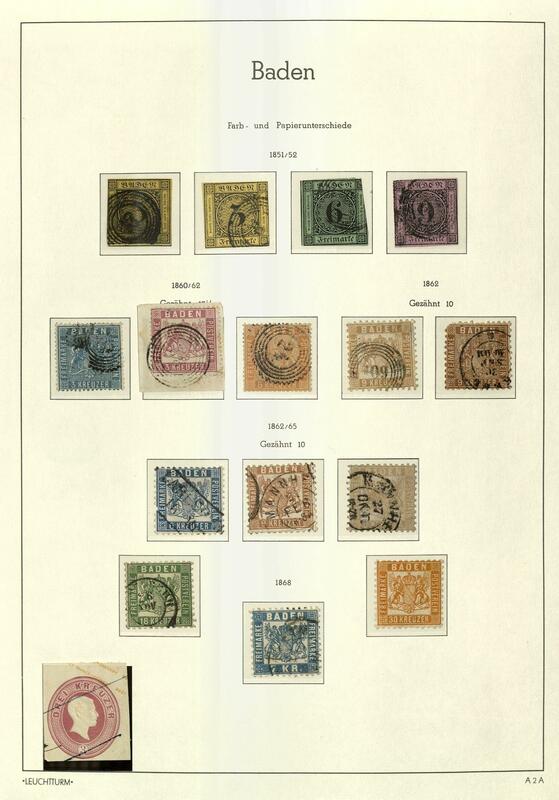 3402 ⊙/ / Old German States - interesting and rich collection in the spring back binder with numerous different areas, mixed quality, with superb pieces. 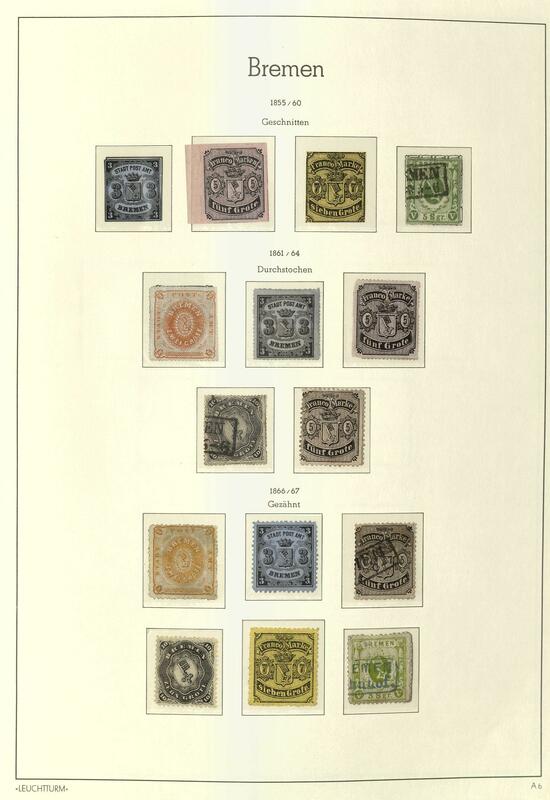 As well better issues, including Baden, Bavaria from of the Kreuzer period abundant, Brunswick well represented, an extensive part Hamburg, Hanover well-staffed, Heligoland with original and reprints, Mecklenburg-Schwerin / Strelitz, North German Postal District, Oldenburg, Prussia abundant, Saxony, Schleswig-Holstein, Thurn and Taxis well-staffed, as well also an extensive part Wuerttemberg from of the Kreuzer period. Favorable valued collection with enormous catalogue value! 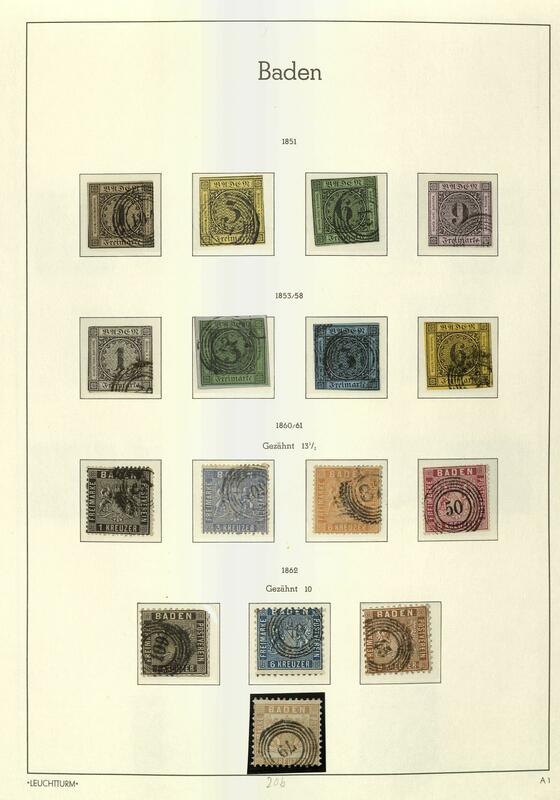 3404 ⊙/ / Old German States - extensive lot in the ring binder, mixed, with numerous superb and extremely fine copies. 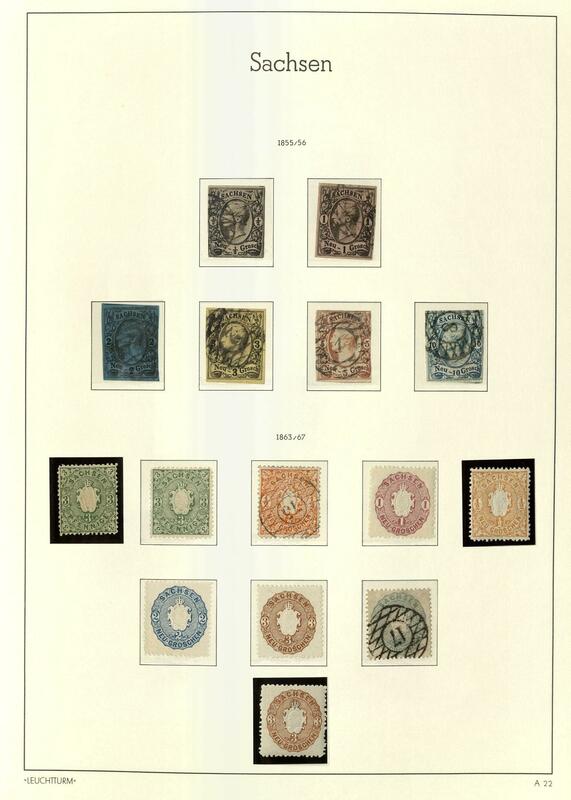 As well an extensive part Baden with unperforated and perforated issues, different number cancel, color shades, as well also Bavaria, Brunswick, Thurn and Taxis and Wuerttemberg. Please have a look! 1051 ⊙/ OLDENBURG - interesting collection, nearly complete on KABE hingeless printed form, mixed quality, with superb pieces. As well popular issues. Favorable valued! 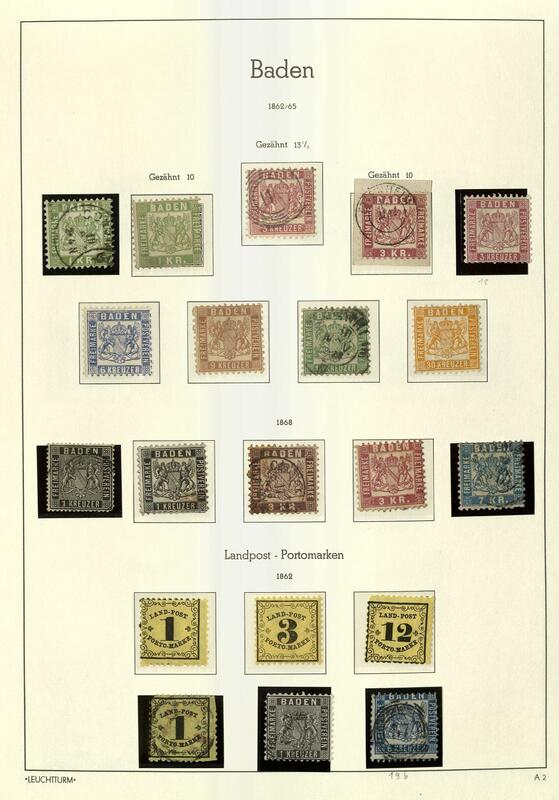 1235 ⊙/∆ 7 OLDENBURG - interesting used collection with useful issues right up to key values, mixed quality, with superb pieces. With also Michel no. 7 (Michel 750,- €), 8 (Michel 750,- €), 9 with blue two ring cancel \"OLDENBURG\" (Michel 5000,- €), 10 b (Michel 3000,- €), 11 (Michel 650,- €), 13 (Michel 550,- €), 14 (Michel 550,- €) and 15 / 19 A (Michel 520,- €). A rich object! 1736 ⊙/ 02. Apr OLDENBURG - interesting collection on lighthouse hingeless printed form, mixed quality, as well better issues including Michel no. 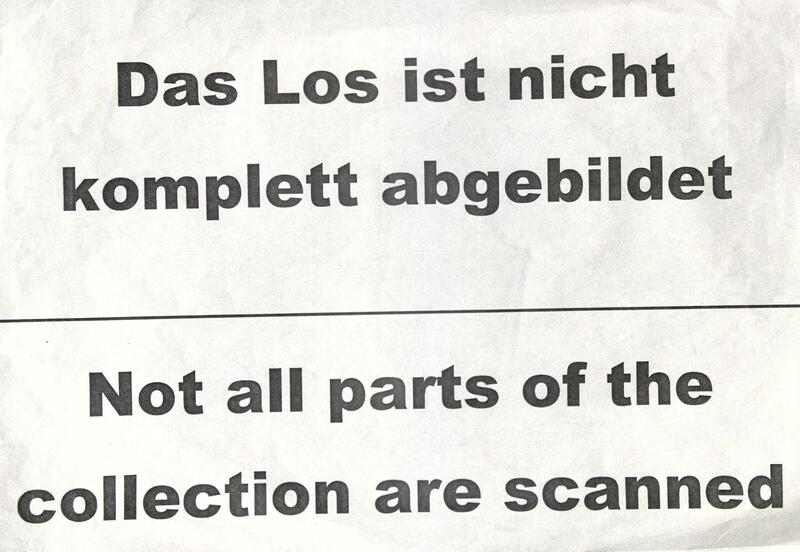 2/4 (*) and so on. 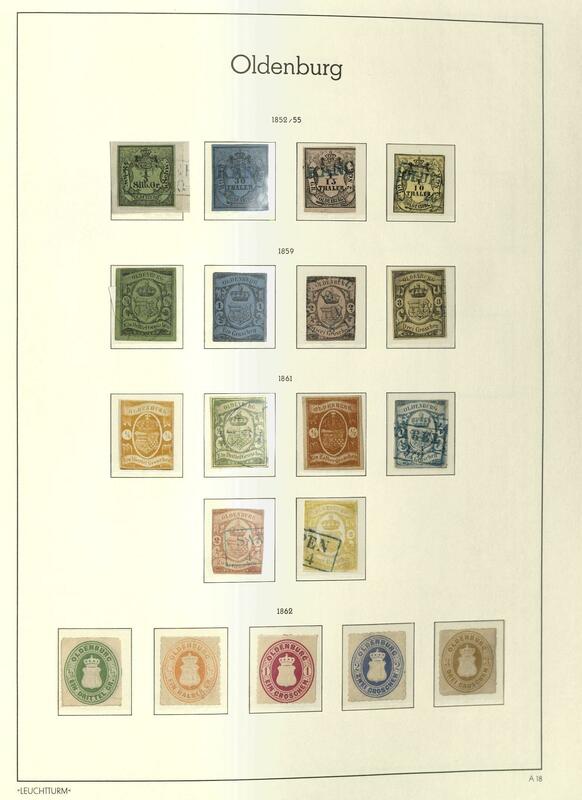 9K Oversea - rich collection from souvenir sheets, mainly mint never hinged formed in three large stock books, lightly cancelled, as well numerous popular issues, nice part South America including many older souvenir sheets, as well African states. A beautiful object! 201 Oversea - interesting mint never hinged lot in the stockbook, as well issues of different countries including unperforated values, an interesting part South Korea, with also souvenir sheets and former french colonies. Favorable! 501 Oversea - extensive lot of mint never hinged issues in two Lindner ring binder with lots of material, many lovely motives, numerous souvenir sheets, special- and commemorative sets and so on, predominantly Africa. Enormously acquisition price! 579 Kart⊙n Oversea - extensive inventory in seven large stock books accommodated with a lot of material, as well an extensive part Japan including older issues, as well special- and commemorative values, french colonies, numerous issues from Thailand and so on. Extensive treasure trove with enormous catalogue value! 679 x Oversea - extensive inventory packed in a carton, as well a great many issues mint never hinged respectively used, enormously many nice motives, former British colonies and so on. Much material, perfect for liquidation! 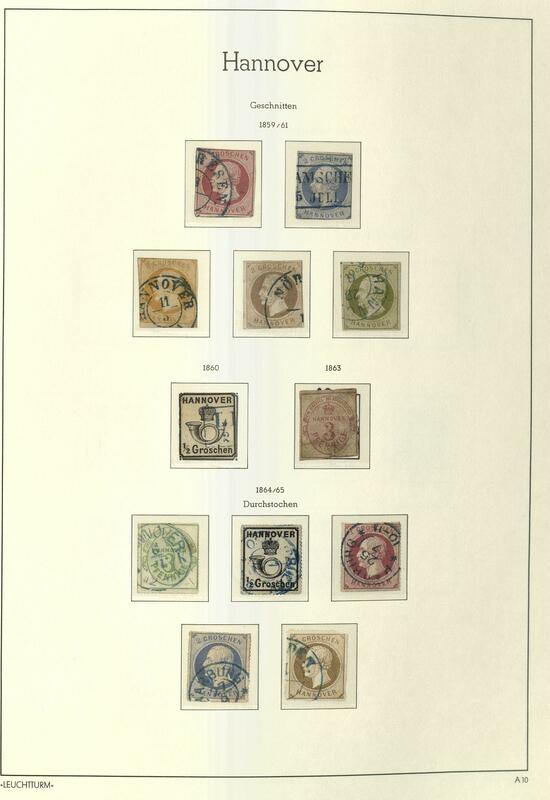 724 x Oversea - extensive inventory packed in a carton with lots of material, mostly Dutch colonies, as well numerous special- and commemorative issues, many in bags, including numerous mint never hinged issues, lovely subjects, as well also beautiful documents. A rich treasure trove! 1455 ⊙/ Oversea - extensive collection of different countries with only older material including numerous classic values in two thick spring back binders accommodated, mixed quality. As well interesting issues and areas, better values and so on. With many British colonies, French colonies, Spanish colonies, South America including good part Colombia from the classic, Brazil with older issues, Portuguese colonies and so on. In this richness rare offered and both to the liquidation, as also carrying on in the best way suited! 2394 ✉ Middle East - interesting lot of 37 covers and cards with useful older documents, as well an interesting part Lebanon and Syria including registered, airmail and so on. A delightful lot!